Some folks over in the Southport area are none-too-pleased with a recently announced plan to open a transitional living center for people recovering from drug and alcohol addiction in their neighborhood. The residential portion of the plan by Rosecrance Health Network requires a special use permit because the location at Waveland and Ashland is not currently zoned for such purposes. 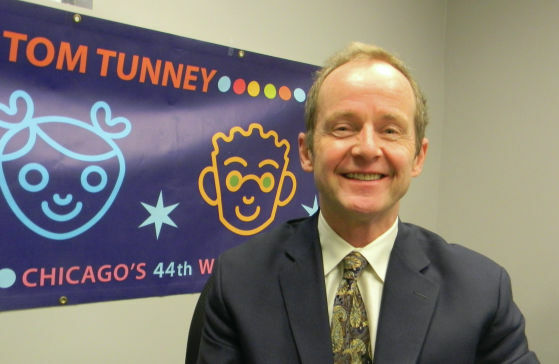 Now, Alderman Tom Tunney is floating the idea of creating a Good Neighbor Agreement (GNA) to help smooth things over. Tunney pointed to the Broadway Youth Center's 2013 move as an example of neighbors getting a commitment from an organization to follow their plan of operation or risk losing their permit. "We've done [a GNA] before. It's been almost two years, maybe more, and [South East Lake View Neighbors] don't feel there has been an uptick in crime," from the center, Tunney said. Like Rosecrance, the Broadway Youth Center faced severe opposition, but "those fears have been basically not sustained," Tunney said. We don’t have any position on the Rosecrance matter, but we do have a great deal of experience with the history and development of a Good Neighbor Agreement by Tunney for the Broadway Youth Center (BYC) in our neighborhood. For the alderman to now say that the neighbor’s “fears have been basically not sustained” is baloney. The neighbor’s concerns were very well established and it’s only because neighbors took a stand that BYC changed the way it operates—to the benefit of the neighborhood and the youth center. (1) After moving its operation from its long-standing location at Broadway and Belmont, BYC needed a special use permit to work out of a church on a residential street near Wellington and Broadway. We published those police reports for public review. (3) Review of hate crime reports filed with the Chicago police in our area between 2007 and 2014 found that more hate crimes were reported at BYC’s Broadway/Belmont address than at any other location in the 19th district. (4) Among the people who called the former BYC location home are now-convicted robbers, burglars, and one attempted murderer. (5) Faced with community concern, the head of BYC sent an email to supporters in which she painted neighbors as “racist, homophobic, transphobic, classist, ableist, and ageist.” She was replaced as director shortly thereafter. (6) Eventually, South East Lake View Neighbors (SELVN) chose not to support the proposed Good Neighbor Agreement because it determined that GNAs are not enforceable. With Tunney’s backing before the city zoning review board, BYC won a one-year license with renewal contingent upon its adherence to a Good Neighbor Agreement that it signed with Tunney. BYC became a better operation because of its neighbors’ concerns. The relationship with police improved. When issues arose, BYC even put certain programs on temporary hold. While not perfect, things got a lot better at BYC after their operations were put in the spotlight. When its license came up for renewal this year, SELVN voted unanimously to support the renewal.